Senator Barack Obama of Illinois is coming to Seattle later this month to promote his new book The Audacity of Hope, and he’s already set to receive a rock star welcome. Tickets went on sale yesterday at the Elliot Bay Book Company, and the line wrapped around a downtown block for almost a mile. The event sold out in two hours. Seattleites can’t get enough of progressive speakers. When global warming journalist Elizabeth Colbert, author of Field Notes from a Catastrophe, came to Seattle for a sold-out book tour appearance, would-be attendees from around the state banged on the doors of Town Hall in a vain effort to get a standing-room place. Another global warming speaker, a certain Al Gore, is coming to town on Monday and will speak at Key Arena, a stadium that normally holds the Seattle Sonics crowd. Yet the excitement around Senator Obama’s visit is different. Many people first saw him speak [video] at the 2004 Democratic convention when he was still a state senator. His story is compelling—his father was a Kenyan goat herder who got a scholarship to study in America, and his mother is from Kansas. His speeches are articulate, passionate, even-handed and intelligent. Even so, it’s telling that so many people in Washington State have even heard of the junior Illinois Senator. The 45 year-old has repeatedly said he will not run for president in 2008. Yet many people believe he is the most inspiring figure in the Democratic Party. Most Democrats I know believe Hilary Clinton will run and lose. 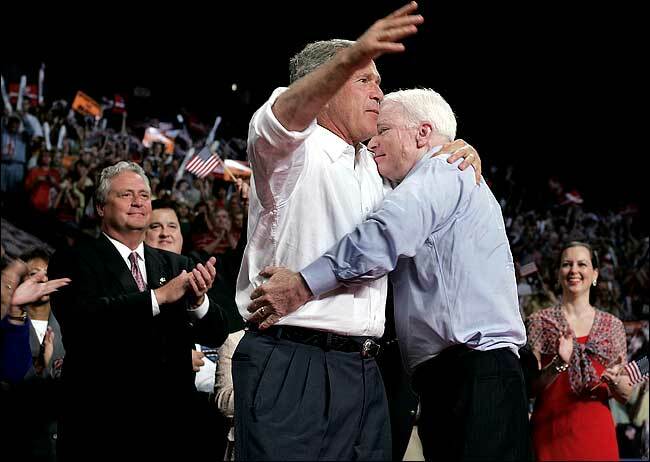 I believe that Hilary or almost any other Democratic candidate would do a better job as president than a Republican, including John “Bear Hug” McCain. 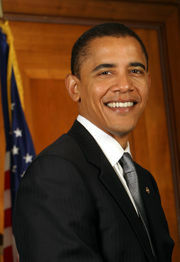 But with Barack Obama, there's a real spark of excitement. Update: I wasn't able to see the speech—even though I was willing to pay as much as $50 per ticket, I couldn't get my hands on one. But you can do what I did, and listen to the Seattle speech from NPR station KUOW. Hey! I hope you get to see him speak. I met him at a political lunch over a year ago and, WOW he is a very magnetic personality. He and his wife are both stunning. I shook his hand and said "I'm so glad you're my Senator!" He looked me in the eyes and smiled and said "Thank you. I really appreciate that." Then he smiled and winked at my mother-in-law. We were starstruck.Damn! ps: glad to see your blogging again!